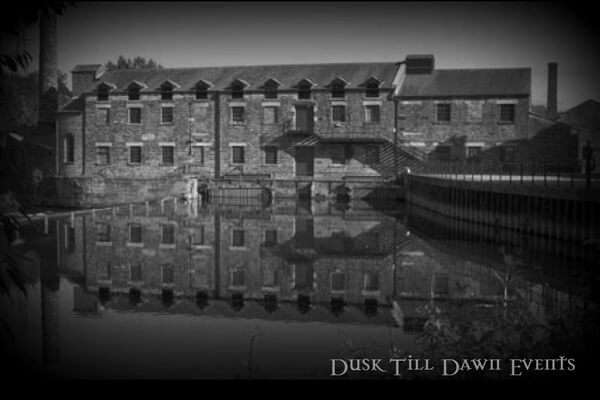 Join the Dusk Till Dawn Events Team - once the lights go out for a scary ghost hunt inside the formidable and very atmospheric Thwaite Mills in Leeds West Yorkshire. Step back in time inside the manager's house now restored back to its former glory as it depicts life just as it was back in the 1940s. Thwaite Mills is one of the only fully restored working water-powered mills in Yorkshire. With over 300 years of industrial history, this early 19th century watermill presents a fascinating insight into the life and times of the putty mill and its owners, the Horn family. This unique piece of Yorkshire’s industrial heritage which is situated amongst a riverside location contains the mill, manager's house, and three associated buildings all of which are Grade II listed. There have been many reports of paranormal activity inside the Mill ranging from strange noises, knocks and bangs, feelings of being watched and followed along with the full apparition of a woman and a young child believed to have been witnessed on numerous occasions around the building. Members of staff that work here are said to have witnessed shadows and heard heavy footsteps walking in rooms where no one living was thought to have been present at the time. Thwaites Mill awaits you for a night of investigation - dare you join us as we go in search of the ghostly inhabitants still thought to remain here! What’s included in this Ghost Hunt. Vigils and Séances in the most active areas of the building Psychic Experiments Ghost Hunting Equipment Refreshments provided.